With its warm climate, low cost of living, and beautiful scenery, it’s easy to see why Thailand attracts retirees from across the globe. In fact, Thailand remains one of the top countries to retire abroad, most notably for its top-notch healthcare, inexpensive housing and friendly residents. These all combine to make it a great choice for retiring overseas. In the northern part of the country, Chiang Mai beckons with its surrounding scenic mountains and winding country roads—offering a new adventure around every bend. Here you can enjoy all the amenities of modern city life at a fraction of the cost of what you’d pay back home. 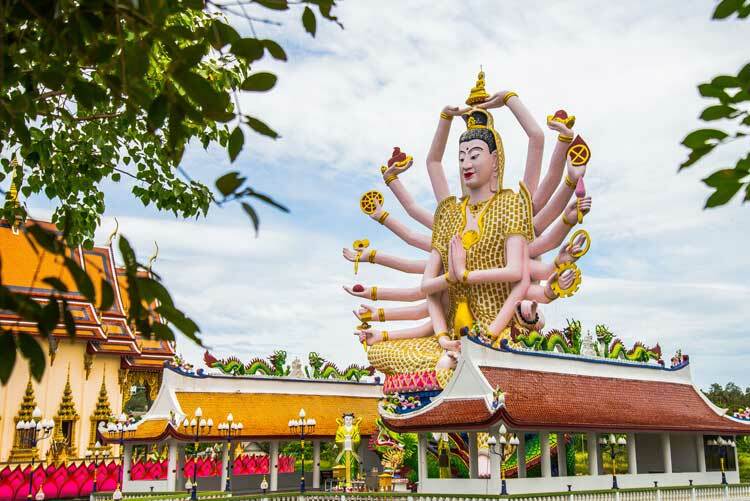 With easy access to healthy outdoor markets, affordable property and a large established expat community, it’s obvious why Chiang Mai remains so popular. For those who prefer a more rural lifestyle, there are many affordable properties just outside the city limits. For true urban living, Bangkok is still high on the list for many retirees. As a regional centre for the arts, fashion, and entertainment, it’s hard to beat—and with easy access to the beaches in the south and the mountains to the north, this modern metropolis has something for everyone. Although more expensive than the rest of the country, it’s still possible to find affordable properties in many parts of the city. For those who dream of the beach life, you’ll find housing at reasonable prices right on the beachfront, where you can watch the waves roll in from your balcony—with prices dropping substantially if you are willing to live a short distance from the beach. Phuket and Pattaya, an island city and a beach city respectively, have long been popular with expats who are looking for an urban lifestyle near the water. For a more laidback beach scene, Hua Hin and the nearby towns of Cha-am and Pranburi are recommended for their atmospheric night markets, whale watching and rustic vineyard and farm tours. Residents cite the low cost of living in general, the affordability of beachfront living in particular, and the expat friendliness as strong points for choosing this part of the country. My husband Michael and I were in our 50s when we made the decision to retire overseas. Before then I really hadn’t given retirement much serious thought. I suppose I had seen us as part of the grey nomad brigade, caravanning the well-worn roads of Australia, gathering at 5 p.m. for ‘sundowners’ then toddling off to camp for the night. I’ve been living on Koh Phangan for almost a year, happily settled in the rural hideaway of Hin Kong. Haad Rinn—home to the full moon parties that attract thousands of partygoers to the island annually—is half an hour away by car…but a world away in terms of lifestyle. Each morning, I begin my day by opening the French window of my studio apartment in Chiang Mai, Thailand. I am greeted by views of towering mountains on the horizon and the golden peak of the famous Wat Phra That Doi Suthep temple glittering against the lush green background. Retiring overseas could be the best thing you ever do…but it’s a big step. So if you’re not quite ready to make the move abroad on a permanent basis, the next best thing might be to go for a trial run and test the waters in one of your dream destinations. Twenty years ago, Jim Knight discovered an exotic tropical paradise in Southeast Asia. He fell in love with the sights and sounds of Thailand. During regular holidays, Jim continued to be charmed by the Thai culture and way of life; things like how politeness and respect are ingrained into every aspect of the Thai language and communication. An inexpensive cost of living, tropical sunshine, white sandy beaches and friendly people…everyone has their reasons for moving to Thailand. For my wife Nancy and I, retiring here a couple of years ago was a no-brainer. On the Gulf coast, just four hours from Bangkok, is where you'll find my favourite Thailand beach town…Hua Hin. My wife, Valerie, and I retired in February this year. With a new life in mind, we flew AirAsia from our home on the Gold Coast, via Kuala Lumpur, to Chiang Mai in Northern Thailand. We had come to this decision after realising that we were bored of the same-old-same-old in Australia. Plus, Australia is getting just too expensive for retirees. So, we took the plunge. We sold all of our assets and placed our personal belongings in storage. I am too young to receive a pension. However, by living in Chiang Mai, we can afford to live a financially independent life.